For over 25 years, Everlast Blacktop has maintained its reputation for being the best in the asphalt driveway paving industry. Our professional driveway paving crews have the experience and equipment to complete any job efficiently and with accuracy. From beginning to end our team at Everlast Blacktop will work with you to create a quality, long lasting blacktop driveway or asphalt driveway for your home or business that you can be proud of. Quality materials, professional staff and attention to detail are what set us apart from other driveway pavers in the asphalt driveway paving industry. Close to O’Hare International Airport, major expressways, and rail transportation the village of Itasca in DuPage County, Illinois is rated as the “Best Affordable Suburb” in Illinois. Located just 25 miles northwest of downtown Chicago, the village offers its 8,300 residents safe, comfortable neighborhoods, an outstanding education system and top-quality health care. Well known for their commitment to quality craft and customer service in and around Itasca is the driveway paving services of Everlast Blacktop. In and around Itasca, when driveway sealcoating must be done right, it has to be Everlast Blacktop! At Everlast Blacktop we treat you like family, our customer service team will explain the asphalt driveway and driveway paving process from start to finish. You can expect to know exactly what will take place at each phase of your blacktop driveway paving project. We want our customers in Itasca to be overjoyed with the results of their driveway paving experience. 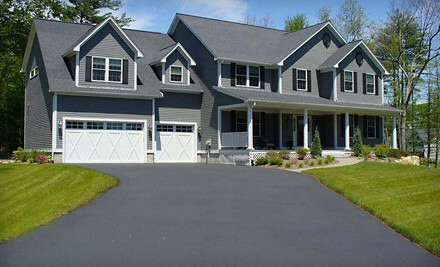 Driveway sealcoating and blacktop driveway paving are cost-effective and easy to maintain. For more information on products and services or for a free onsite estimate, call Everlast Blacktop today at (630) 855-5572!